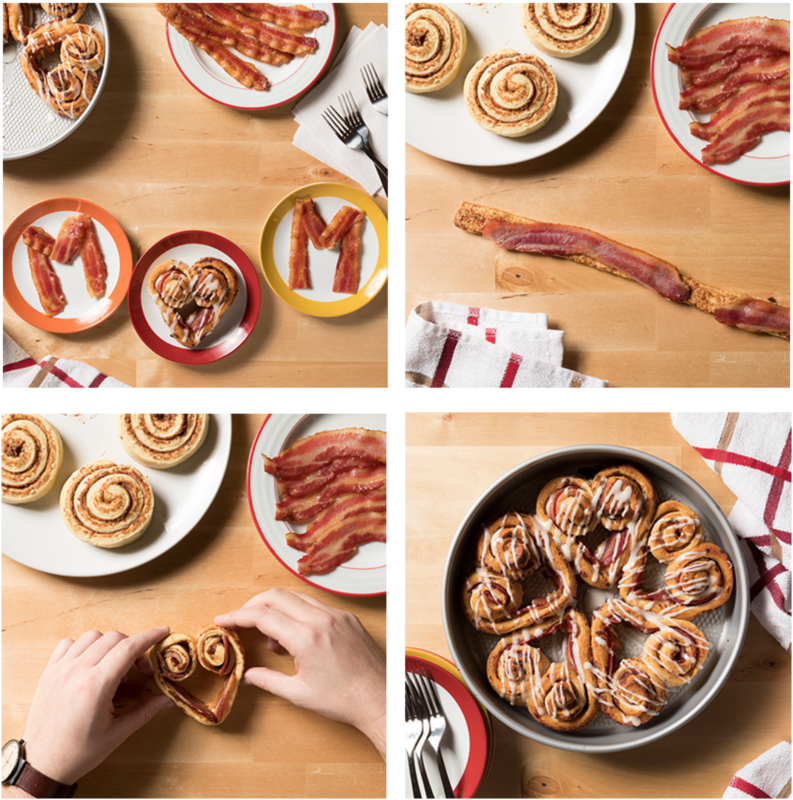 Mom deserves all the love, so whip up these easy Gwaltney Bacon Cinnamon Rolls to take Mother’s Day breakfast to the next level. Carefully unwind each roll into a long strip of dough, and layer on two strips of Gwaltney Bacon. Coil the unrolled end of each strip in toward center, making two equal coils. Pull middle of strip down to make a point, forming heart shape; pinch point. Place in pan, pointing toward center.